Pick any day you like. Take train to/from Ventura, CA. Bicycle reservations are required. Within the Los Angeles – San Diego – San Luis Obispo (LOSSAN) Rail Corridor, AMTRAK accepts Metrolink and Coaster tickets/passes on certain trains. In cases that an interagency passenger has a bicycle, it seems providing accommodation for that bicycle would be standard practice. If so, does something like this seem reasonable? * If a commuter rail ticket/pass is accepted on AMTRAK for the passenger, it must be accepted for the passenger’s bicycle or bicycle reservation if space is available. 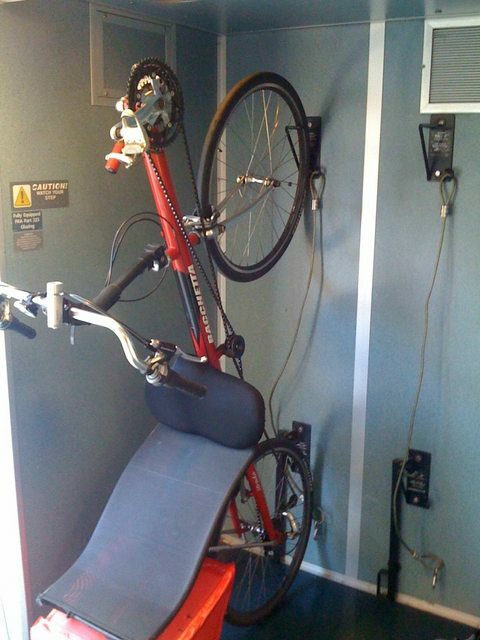 I know that Amtrak is pretty strict on the bike policy for their own Surfliner trains. I know of a case (from last fall) where a guy tried to board the northbound surfliner in Irvine with a bike--he didn't have a bike reservation. There was space on the train for the bike, but they wouldn't let him board--he was trying to update his reservation on his phone when the train departed. The guy drove ahead (I think to Fullerton) and managed to update his reservation before departure, and was able to board the train there, with his bike. Amtrak absolutely requires a "bike reservation" for any bike other than a folder. Hence, I'm using the Brompton as my 'vehicle' on LA from Sunday night to Friday evening because I don't always know what train I will be on. FYI: I came across this information while checking out the articles for Coastal Rail shutdowns over the past January weekends. Moved it here from another thread. The Rail 2 Rail® program allows Metrolink Monthly Pass holders along the Orange and Ventura County corridors to travel on Amtrak Pacific Surfliner trains within the station pairs of their pass at no additional charge, including Saturday and Sunday. Metrolink Monthly Pass holder who travel outside of station pairs identified on their pass are required to purchase an Amtrak ticket for the portion of the trip not within the Monthly Pass station pairs. Metrolink passengers simply show their Monthly Pass and board any Amtrak Pacific Surfliner train or bus to their destination. The Rail 2 Rail® program does NOT include travel on Coast Starlight trains. Amtrak Pacific Surfliner Monthly Pass holders may ride any Metrolink train within the station pairs on their pass at no additional charge. 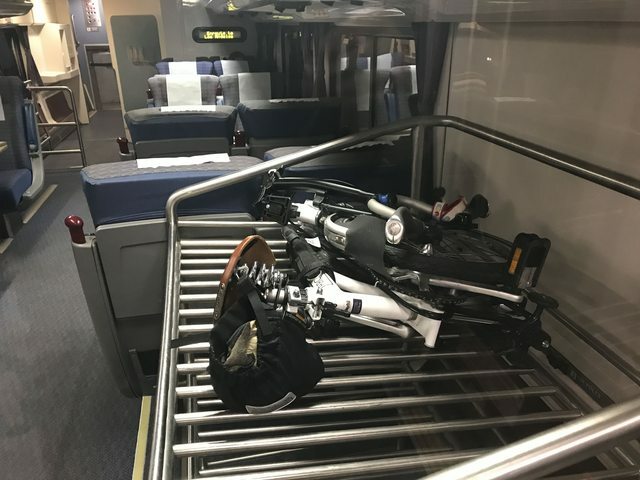 Rail 2 Rail® riders should be advised that a valid Amtrak ticket and a complimentary bike reservation will be necessary in order to bring a bike on board Pacific Surfliner trains. Metrolink monthly pass holders will not be allowed to board with a bike without purchasing an Amtrak ticket and reserving the bike slot space in advance. If the above AMTRAK anti-bike commuter policy was not so malicious, it would be absurd. Let me repeat my basic premise: If a commuter rail ticket/pass is accepted on AMTRAK for the passenger, it must be accepted for the passenger’s bicycle or bicycle reservation if space is available. The previous AmTrak Surfliner Setup, Vertical Bike Hooks in all the cars, was vastly superior. I used it all the time (with Recumbents) in 1999 and 2003/2004 etc..
"Will my tandem, recumbent, cargo bike, trike, etc., fit in the bike racks? Currently, only standard size bicycles (50 lbs. or less, 70" x 41" x 8.5") will fit in our racks. We are working on making updates that will allow us to accommodate non-standard bicycles like tandems, trikes and recumbents." ... on the topic of tandems. How would one (or two) do a train trip with a tandem? I just acquired one and am looking at the possibility of a train trip up the coast with a ride back; and/or a trip up to SLO and a weekend ride back to Santa Barbara; etc. Do i have to box it or is there alternatives? I'm pretty sure my Bacchetta fits that. I purchased the one in the pic in 2004 due to an anticipated commute to OC. The longer recumbents won't.